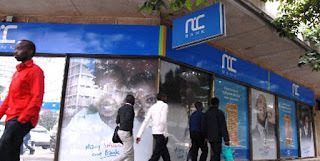 @nicbankkenya The NIC bank of kenya has an unsecured student educational loan package targeting both students joining campus or parents and guardians with children joining university or college in kenya. The loan finances only the tuition costs for the course duration in school. The varsity fees must lie between ksh50000 and ksh1000000 because that's the loan minimum and maximum limits respectively NIC bank allows. For a student to apply for this loan facility, one must posses an admission letter from a recognized Kenyan university or college.The letter of admission must have an attached fees structure which will form the basis for the amount of loan to be applied for.The loan amount will be directly deposited into the educational institution admitted. Top ups during the learning period will be subject to debt to income ratio (not to exceed 60%) and not to go over the ksh1million limit.